Since returning from the season ending knee injury suffered in 2015, Tommy has been one of the most consistent players within the Warriors squad. The hole that will be left when he leaves at seasons end will be a big one to cover, for now we're lucky enough to have him on board and hopefully help steer the side into their first play offs since the 2011 season. The Manly game was yet another where Tommy played an unassuming yet pivotal role in the Warriors performance. Racking up 44 points for those who have him in their fantasy team he also managed to make 3 tackle breaks, 87 kick metres, 103 running metres, 17 tackles with 0 missed tackles, 1 line break that saw him oh so close to crashing over in what would have been an absolutely brilliant solo try in terrible conditions as well as making 0 errors and conceding 0 penalties. 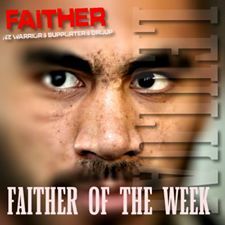 It will be a great shame to see this Warriors legend leave at the end of the season. Let's hope his form can continue and help steer us into the top 8 at the business end of the season.